 Hey everyone, hope you are all looking forward to PAX in ~1 week! If you’re attending, and are of the cardboard persuasion, here is all of the info that’s pertinent to you, from exhibitor info, to tourneys, to panels, and some other fun bits. Are you an aspiring designer hoping to playtest your game? Register with the fine folks at UnPub, who will have a dedicated game space all weekend to help you get your playtest on. You can also attend the Pre-PAX Game Design Night (presented by Game Maker’s Guild) on Thursday night. Looking to play in this year’s MegaGame? A brand new scenario is debuting this year, “The World Turned Upside Down” with an American Revolution theme. Registration costs $22, with proceeds donated to Child’s Play, and is happening NOW. Remaining tickets will be sold starting 10AM on Friday, during PAX. Will you be in Boston on Thursday and want to start your PAX early? The Unofficial Pre-PAX Game Night is for you. Seating for ~500 board gamers at the Westin’s “Galleria” hall will open at 5PM! No tickets required. Tables are first-come, first-serve. For those at home who want to pre-plan their PAX Tabletop hype, there’s always the Tabletop Library inventory page, now weighing in at ~1,100 total games. Registration for tourneys is held at TT HQ. All registrations open at 10AM on the day of the scheduled tournament. Need to block out time for an epic-scale board gaming experience? Registration for these “epic” games will open at 10AM on Friday to help players find a dedicated group. Daily tournament schedule to be released soon on the Cascade Games event page. Edit: Magic schedule now live. Pokemon TCG schedule coming soon. Ironmark Games is bringing a brand new MegaGame scenario to PAX East! Get ready for The World Turned Upside Down, on Sunday at 11AM. Limited in-person registration will be available on-site on Friday at 10AM in TT HQ. Come take part in a gigantic game that is one part board game, one part live action RPG. Come to PAX, and leave having experienced a truly unique gaming experience! Join the Thornwatch team—Mike Krahulik, Jerry Holkins, Chad Brown, Kiko Villasenor, and Mike Fehlauer—as they talk about the lore and creative process on the first game in the Eyrewood Adventures line. As the game rumbles toward completion, you'll see all new art and maps, hear about new concepts, and get a look in on the development of the first expansion, Dark of the Wood. Many thorns shall be watched! And so it begins. We start with 16 teams (32 total Omeganauts) and we will reduce that number by HALF! How will we be culling the herd, you ask? By playing a dangerous game of espionage, deceit, and violence. A game called ... Codenames. Quite possibly the most dangerous game known to humanity. Ostensibly, you play games to win. (Assuming we're talking about competitive games: you're not playing to "win" Dungeons & Dragons… are you?) But are really? Shouldn't you be winning a lot more often? Maybe you should try that cheap strategy you've heard about. Punch below the belt. Memorize the deck. Read the FAQ. What's the line between playing to win and cheating? Is "playing dirty" even really a thing? Come for the degenerate strategies, stay for the soul-crushing revelations on winning. Some board games are just too big for the table. Join this game show edition of Wits & Wagers, history's most award winning trivia game, hosted by Tom Vasel of The Dice Tower and Ivan Van Norman of Geek & Sundry. Select audience members will get the chance to play on stage against surprise guests from Riot Games, Cards Against Humanity, Jackbox, and more! At the PAX Tabletop Big Game, teams will play for charity, but everyone will leave with a prize. 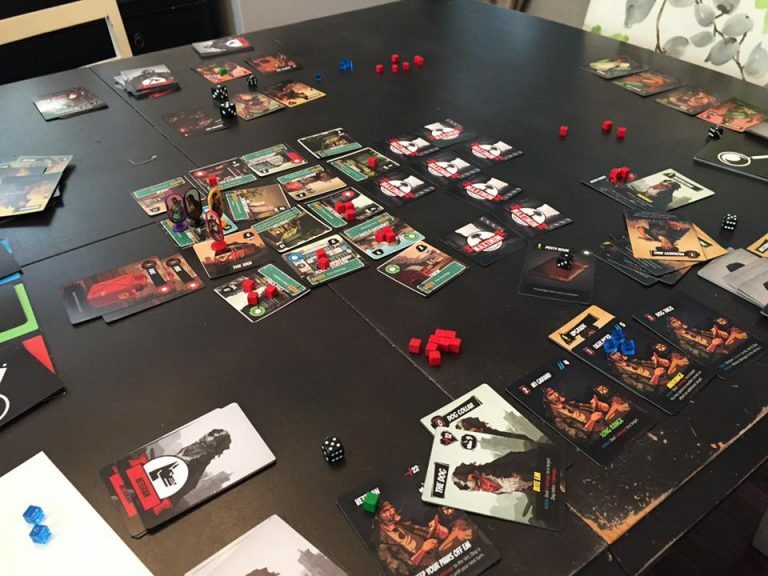 How do tabletop games go from ideas to actual games you can buy? Join us for an informative look at the entire process of making rad tabletop games. Concept and design, production and logistics, distribution and sales; we'll cover it all. It won't be quite as cool as when Mr Rogers visited the crayon factory, but I can guarantee there will be a lot more terrible jokes along with your learning! Games like Dungeons and Dragons are in the middle of a resurgence in pop culture, appearing in television, media, and now even being used therapeutically. Join game masters Adam Johns and Adam Davis as they return from the frontier of therapeutic gaming to tell stories, answer questions, and celebrate how the the games we love can make us better people. The Panel Strikes Back! Come help us celebrate our fifth year at PAX East! Bring us your weird and wonderful one-shot and campaign ideas, and we’ll tell you which tabletop roleplaying system you should use and why. New rules or old school? Story game or simulation? Crunchy or freeform? Our team of designers, editors, geeks, and grognards will brainstorm and debate until you’ve got the system that fits. You bring the ideas, we’ll bring the nerd rage. Have you been hacking away at your favorite tabletop RPG to make it play like you want? Maybe you’re building your first homebrew? Or maybe you want to see how far you can take the roleplaying game medium? Game design veterans Vincent Baker (Apocalypse World), Luke Crane (Burning Wheel), Hannah Shaffer (Questlandia), Robert Bohl (Misspent Youth), and Joshua A.C. Newman (Shock:Social Science Fiction) are excited to share their creative processes with you and help you make your thing! Who lives fighting robots? We do. Five different game makers each created a different tabletop game with a similar theme at around the same time - all from the same inspirations. How did that happen? Come and learn about what it means to adapt a theme into a game, and how it can stand out from the crowd even when there are other, similar titles on the market. Binwin Bronzebottom is looking for a few good adventurers to help acquire all the loot from the Deep Mines of Yag'Onnadie. Join in the hilarity as Chris Perkins runs a live D&D game with Table Titans & Binwin's Minions creators Scott Kurtz and Tavis Mainden, along with a full party celebrity-esque level 1 adventurers! Live action games are spaces that invite players to immerse themselves in shared narratives and competitions. They challenge players to behave differently. And they require designers to build adaptive systems that thrive on chaos. No mechanism survives contact with the player. So how do designers balance rules that are meant to be broken? And how do facilitators know when to guide players down prepared narrative paths and when to relinquish control? Our panel will discuss these topics and more. Are you a Game Master that dreads when your players go off script? Does the thought of the adventurers wandering back into town instead of into your intricately planned dungeon make you want to throw your dice out a window? Well, then, Improvisation in Roleplaying is the panel for you. Join an expert team of authors, comedians and expert tabletop maestros and learn the secrets of how to improvise and adapt so that you can handle anything your players can throw at you. All while having more fun! Two stay at home dads and a tabletop game manufacturer probably have no business making a toy line, but personal passion for games and toys pushed them to give it a try. How does the process from concept to creation happen? The mistakes, risks, wins and challenges of making pixels become plastic will be displayed. Acquisitions Incorporated: The Series—live, on the main stage at PAX East! Join Jim Darkmagic (Mike Krahulik), Omin Dran (Jerry Holkins), Môrgæn (Morgan Webb), and special secret guest star, TV’s own K’thris Drow’b (Kris Straub)! Join the adventurers, along with Dungeon Master Chris Perkins, on an epic adventure about adventuring. Much adventure will be ventured. Escape Rooms aka Puzzle Rooms or Exit Games are a hot trend sweeping the world. Evolving from the point and click adventure games on the PC, into a real-life adventure game for groups. The premise is simple: you and your team enter a themed space and work together to find clues, solve puzzles and get out.. Come and learn about the history, tricks, psychology, design and future of Escape Games. Featuring owners from around Massachusetts. Check it out, ask questions, and maybe win some stuff too. FYI, Rock Manor Games will also be in the Hikari Games Booth 10128 showing off our cooperative roguelike adventure game, Maximum Apocalypse. Stop by for a demo! Is there no D&D Adventurer's League presence at PAX East this year? I've been wondering the same thing. The official D&D site doesn't have any details on what kind of presence they'll have at East. The D&D 2017 schedule posted earlier in the year here indicates there should be a D&D Adventurers League. I'm surprised to see Chaos in the Old World considered in the same category of Epic Games as TI and GOT. Is this due to its popularity? I feel like bsg and rex should be on that list if there are copies in the library. Surprised to see Binwin's Minions but not Acquisitions Incorporated! Might want to add that to your list. Might just be some confusion in the language. It's a different group of DMs this year, coming form an organization called The Role Initiative, but it'll be the same type of D&D play area as at prior PAXes. Whoops. Yeah I forgot about Main Theater. Hey folks. Eric from The Role Initiative here. We are excited to attend as the D&D Adventurer's League representatives this year! Most of us are from the same group that came last year, so you'll see familiar faces all over! We are ready to run some exciting adventures for everyone, come check us out in the Tabletop area! That's great to hear, Eric. Do you guys know what modules (or at least what tiers) will be available? Yes! Due to the nature of PAX East (as we learned last year), we are focusing on introducing new players to D&D and the Adventurer's League. We are going to run adventures from In Volo's Wake and DDAL05-01 Treasures of the Broken Hoard. We have planned 2 hour slots starting at 11:00 am each day. Since these adventures breakdown easily into 1 hour blocks, it should give more players a chance to learn and play and the DMs won't feel rushed. For those who want to return they will get a variety of styles of games each time. Lastly...NO signups! We want players to come by and get right into an adventure within a reasonable amount of time, and know they aren't "stuck" playing for hours and hours when there is so much to see at PAX! We will have character sheets and pre-generated characters available for everyone, along with helpful staff to assist players with the rules of both D&D and the AL. Lastly...NO signups! We want players to come by and get right into an adventure within a reasonable amount of time, and know they aren't "stuck" playing for hours and hours when there is so much to see at PAX! No sign ups? Um, that didn't work the last time that happened (3 yrs ago I think?) People were waiting in line for HOURS, and groups would have one member wait for 8 people. So even though we were on line, counting the people ahead of us, we never got to play. Sign ups allow people to still enjoy the rest of the convention, and come back at a designated time. Is there a reason you are doing away with them? 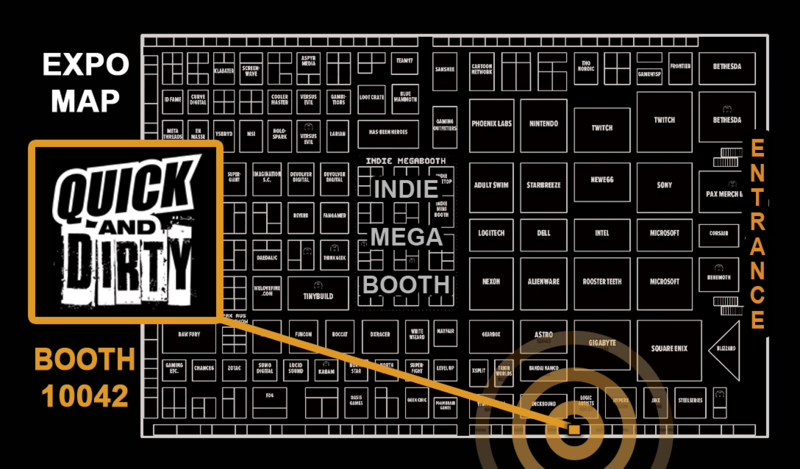 Quick And Dirty Games is missing from your list, we'll be in the expo hall Booth 10042. We make table top party games, we launched last year at PAX East while we were still on Kickstarter, this year we've got some new editions you can play! I played this with you guys last year at PAX board game night. I hope you guys swing by again for it. We definitely had a lot of fun with the game! We did signups last year and still had lines and still had majority walk-ups that far exceeded the signup capacity we had. It's just the nature of the beast, unfortunately. Eliminating signups speeds up the mustering process, as people can immediately get seated without first having to go through any check. We will have a display showing when the next game will be, so people can judge the time to come back for the next round of tables. Since we are rotating tables every two hours instead of four, we expect more people to get a chance to play. We know it will be busy and crazy!